2017 was probably my most exciting year as a writer. From the very beginning, I had two potential movie projects being developed, so the whole year was spent waiting for calls and emails (anyone reading this who is a writer will know where I’m coming from here). Every call from my agent, every email, might have been The One. The Hunt is still ticking over, but as for the other project … eventually, that call happened. 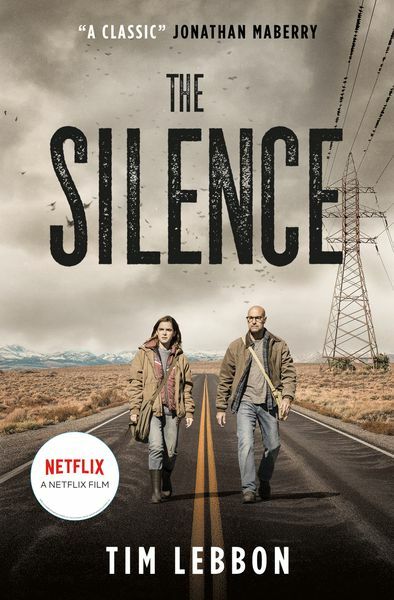 The Silence went into production this year. It has been a dream experience from start to finish, a real delight, and the highlight of the whole year for me was visiting set in Toronto. 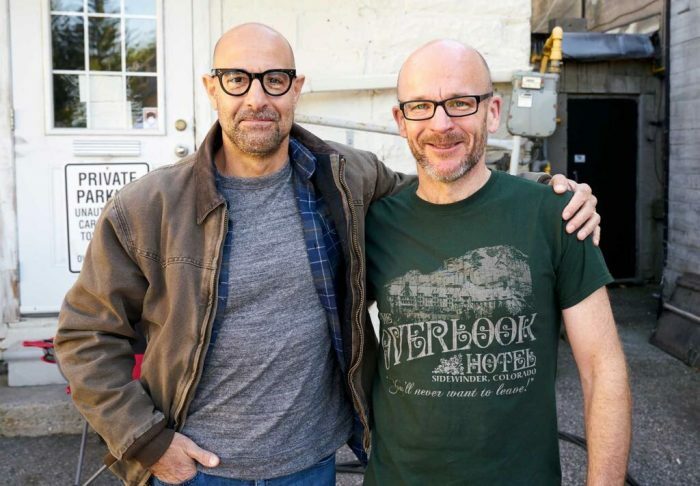 There I got to meet the great actors Stanley Tucci and Kiernan Shipka, the splendid director John Leonetti, the wonderful producers Alexandra Milchan and Robert Kulzer, as well as so many crew I forget many of their names. Everyone was very welcoming, from Stanley (a lovely guy, and just as cool as you’d imagine), to the catering van staff, to the extras hanging around set with limbs hanging off. An incredible experience from start to finish, and the real excitement has only just begun. The movie is in post-production now, and 2018 will bring test screenings, trailers, all the exciting press and reviews, and then finally the film’s release. Me? Excited? 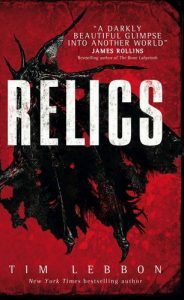 As for more bookish things, 2017 saw the release of Relics, the first book in a new trilogy. 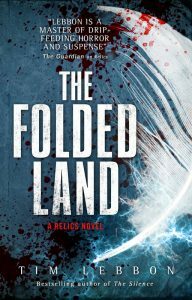 It was well received, and the second novel, The Folded Land, is due out in March 2018. My novelisation of Kong: Skull Island was also released this year. 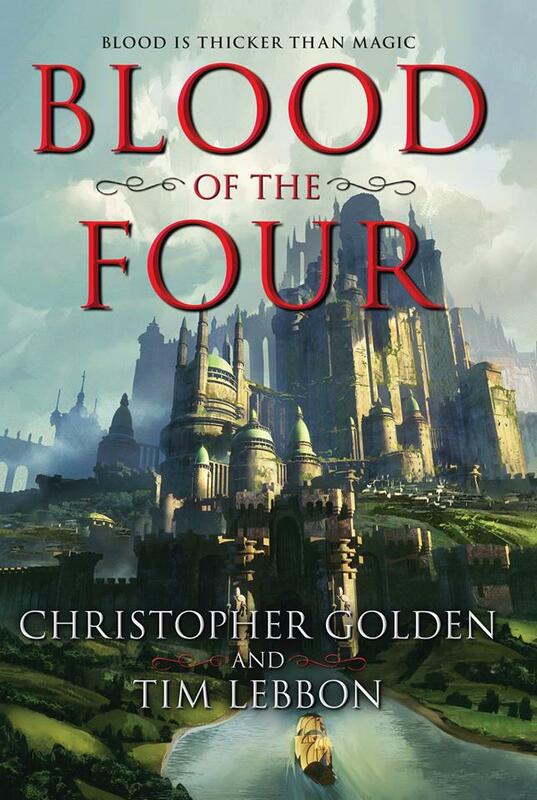 As well as The Folded Land, next year also sees release of Blood of the Four, the big new fantasy novel written with Christopher Golden, from HarperVoyager. We’re very excited about this book, and Harper are pushing it as one of their lead spring titles. Look out for this in March of next year. There are other screen projects in the offing, too, but nothing I can really talk about just yet. So that’s another year done, my 11th as a full-time writer. It’s been a good one, and there are also a couple of exciting book projects ticking over for 2018 that I hope I’ll be able to tell you more about soon. For now, Season’s Greeting to you all, and thanks for continuing to read my books. You keep reading, I’ll keep writing. Hey Tim! I just wanted to stop by and say, great job with The Silence. I just finished Part One and it is fantastic. I’ve known of your work, but never put a focus on it. I’ll definitely take the time to go into your backlog now. Best wishes on continued success. All text on this site copyright © Tim Lebbon, unless clearly stated otherwise.